The spring and summer seasons bring sun, humidity, pool water and outside time for kids. 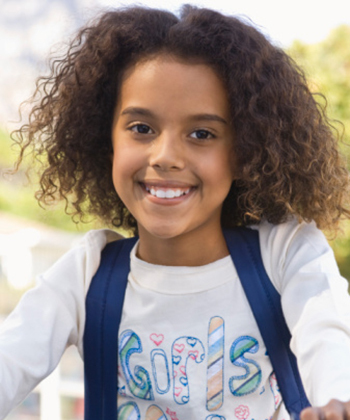 For kids with curls this means lots of fun and of course, frizz! For little ones on the run, quality time outside is important. Therefore, make their frizz-free hair routines short and simple. First off, shampoo every day stops. Although they may have sweat, swam and ran, the shampoo build up will only cause the hair shafts to create more frizz. Instead, wash their hair with water and conditioner on a daily basis and leave the shampoo for every-other day , or even every two days. 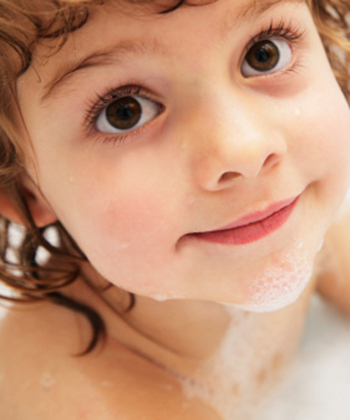 Use a large tooth comb while in the bath or shower, and don’t brush or comb afterwards. Be sure to leave in some conditioner too. A little Suave or VO5 Strawberries and Cream can do wonders to help start cutting down on frizz. There are also some great spray leave-in conditioners and detanglers on the market - just be sure to get the one with the most amount of moisture for your child’s locks. Once a week- depending on the thickness of your child’s hair - use a teaspoon of olive oil to wash through their hair. This will help to keep it healthy, shiny and frizz free as well. Next, use a dollop of gel in their hair to keep it under control. Usually a nickel to quarter size dollop will do. Spread it evenly throughout their hair and allow to air dry. If you need to dry the hair a bit more, use an old t-shirt to blot the hair and leave it damp . If you have curls, you know sleeping on a satin or silk pillow case can help lots - and it can do the same for your child! They’ll love the “silky” look on their bedding and it will help hold curl pattern, and there won’t be friction between the hair and any rough cotton, so their curls won’t frizz at night. Once play time hits be sure to be prepared with a spray bottle in your tote. If your little ones develop some frizz as they play, use the spray mister to reactivate the product(s) in their hair - just a few sprays and viola’, pretty curls pop back up! If you’re pool side or at the beach, mix some conditioner and lavender oil drops in your mister bottle with the water so they get some extra moisture and cleansing too. Running and tumbling can certainly cause friction to the hair, that’s why keeping lots of “ouch-less” hair bands and headbands in your tote can also be helpful for hot weather play dates. Try braiding longer locks on high activity days too, this will protect the curls from frizz during a play date or while swimming. 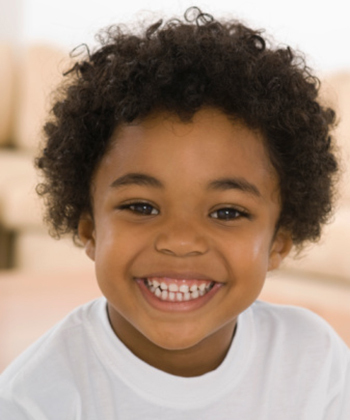 After the braids are dried, remove them and your child will be left with pretty, bouncy, shiny curls and waves!